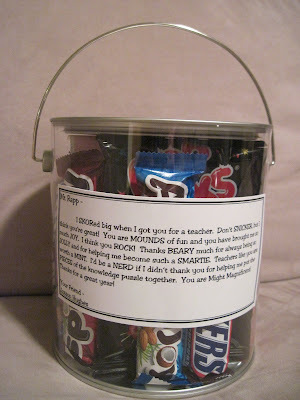 Did you know that April is Teacher Appreciation Month? Now you do! And here are ten fun ways to show your child's teacher just how thankful you are for everything they do. Simple DIY I'm Loving, Part 1: This flower pot from Mariah at Giggle Galore is easy to make and oh so sweet! 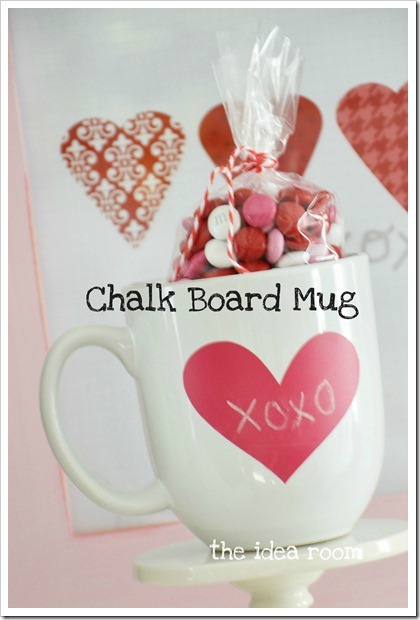 Simple DIY I'm Loving, Part 2: Head on over to The Idea Room for the how-to for this darling chalkboard mug. Fill it with a gift card to local coffee shop or some hot cocoa and you're good to go. 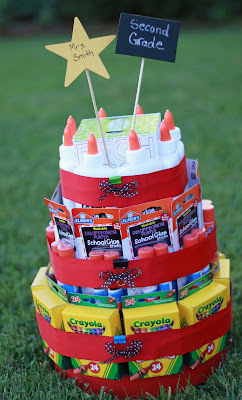 Cake That Keeps on Giving I'm Loving: What's Scrapping shows you how to transform school supplies into something fabulous! 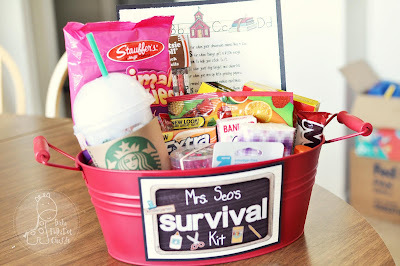 Life-Saving Idea I'm Loving: Hit up your local Dollar Store to get lots of goodies to make up a survival kit for your favorite teacher. Funky Polka Dot Giraffe has a great list to get you started. I SKORed big when I got you for a teacher. Don't SNICKER, but I think you're great! You are MOUNDS of fun and you have brought me so much JOY. for helping me become such a SMARTIE. of the knowledge puzzle together. Cute Take on Chocolate I'm Loving: It doesn't get any cooler than these edible chocolate chalkboards from Hungry Happenings. And they're a lot easier to make than you may think. 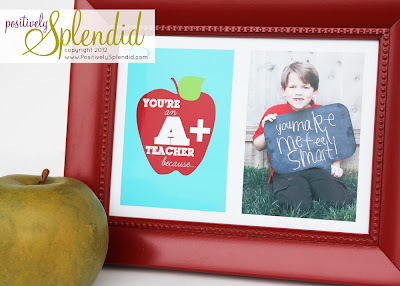 Picture Perfect Present I'm Loving: Print out this free download from Positively Splendid, add a picture of your kiddo and pop it into a frame for a gift from the heart that won't cost an arm and a leg. 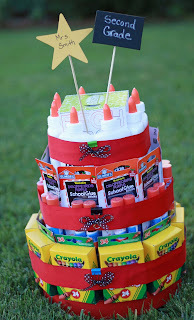 Thirst Quenching Gift I'm Loving: Lisa Storms came up with this great gift idea that's not only practical but fun too! A thank you note and some drink packets inside of a reusable straw cup, topped off with a cute printable. Fantastic! 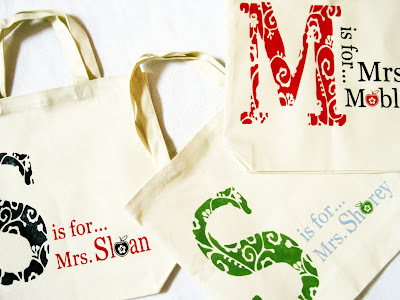 Bag I'm Loving, Part 1: I love love love these personalized tote bags from The 36th Avenue! Desiree used vinyl to make hers but you could also try iron-on transfers too. School-Worthy Bouquet I'm Loving, Part 2: Fill a vase or mason jar with some magnetic letters like One Charming Party did and regular buds get a scholarly twist. So there you have some of my favorite ideas for educators. For more fun finds, visit my Teacher Appreciation Pinterest Board. And I'd love to hear about the things you're loving right now! Share the app, movie, book, craft idea, TV show, whatever that's got you giddy in the comments and your picks might be included in next week's TEN ON TUESDAY feature. And for more of my favorite things, check out my Pinterest boards! Oh I just love all these ideas! Thanks for sharing. 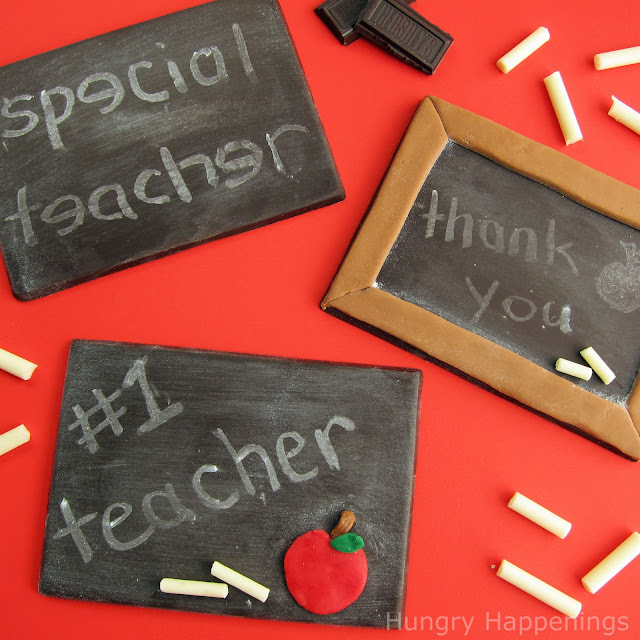 FREEBIE FRIDAY: Teacher's Appreciation Day! ANYTHING GOES THURSDAY: Chick It Out!